Would you read us a bedtime story, Wu Xie? All eyes and ears on Wu Xie. This might be the first time we’ve seen sunlight on this drama since episode 2. Bright, glorious sunlight! 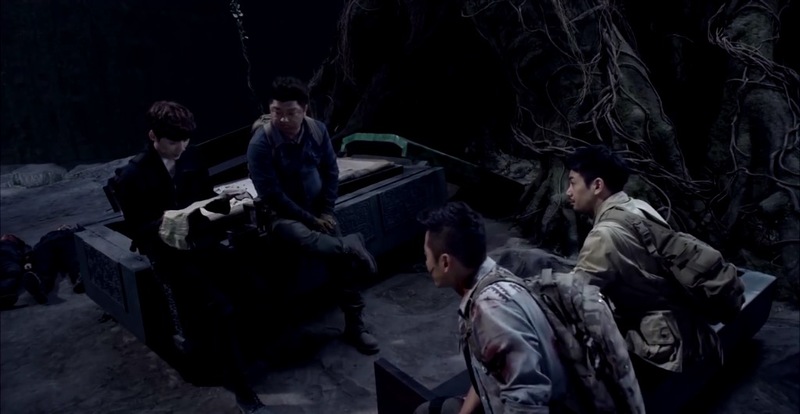 Ah Ning alerts the guys that the corpse covered with the mythical jade is breathing, and everyone immediately backs the eff off. After Pan Zi confirms that there’s indeed a pulse, he and Ah Ning are ready to send a bullet its way. Wu Xie, however, jumps in the way and says they can’t just randomly kill a living person. On the other hand, all Pang Zi and Uncle Three cares about is getting that jade. Legit everyone forgot that this rotting corpse might still be alive in the span of five seconds. Never change, guys. Pang Zi discovers a string hanging off the jade armor that could help them remove it more easily, and Uncle Three is all salty that he didn’t see it first. But when he is about to pull on the string, a dagger comes flying out of the air at ’em. In strolls Xiao Ge, shirtless (with some very photoshopped abs), and a dead body thrown over his shoulder. Oops, looks like it’s another one of Ah Ning’s friends who now has a rotting face. Nope. Not buying the six pack. Pang Zi is all, “come at me, bro” to Xiao Ge because of that whole flying dagger incident just now. Uncle Three asks Xiao Ge to explain wtf is going on, and he tells the group that this corpse has already been “living” for 3000 years. If they remove the jade from it, they’re all dead. 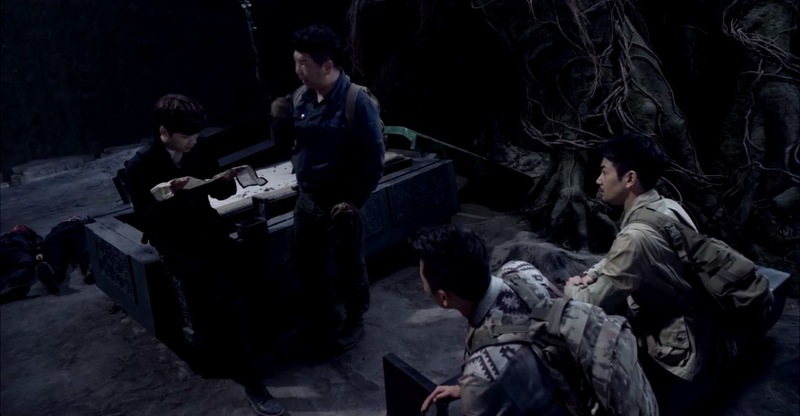 Pan Zi says that if it’s convenient for him, would Xiao Ge please tell them what he knows about this hellish tomb? Lolz…only if it’s convenient, of course. He responds by strangling the corpse and kills it. Alrighty then. Everything they ever wanted to know about this place and its terrible secrets is apparently in the box lying with the other corpse. Wu Xie finds yet another ancient scroll with the story of Lu Shang Wang and his life’s story. Everyone, gather around for Wu Xie’s Storytelling Hour! During one of his tomb-raiding adventures, LSW found a casket with a poisonous snake inside. When he killed it by cutting it open, there was a purple gold box lying inside. That night, the snake appeared in his dreams begging him to spare his spirit because he already killed its physical body. In exchange, the snake tells him about the purple gold box and the two treasures within it. LSW is a stone cold mofo though because he still kills the snake. After this, LSW gains fame and power throughout the land. Before all that though…while on the run from his enemies, the Duke of Lu and his beloved concubine get separated. As he tries to rescue her from falling off the edge of a cliff, the enemies ride up behind him and he gets shot by an arrow. But at this time, his top general (who later becomes LSW) comes storming in with a bunch of soldiers. 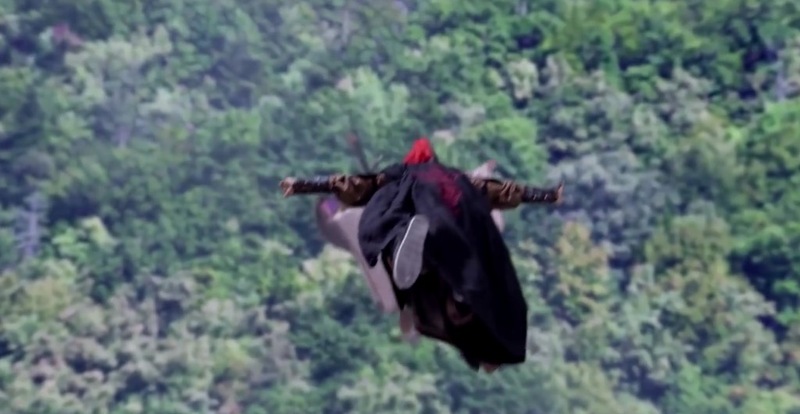 When the concubine is plummeting off the cliff, the general literally flies down to save her. Turns out the general and concubine were lovers before he randomly disappeared and she ended up marrying the lord. Ideal location for romantic reunion. After their cliffside reunion, the two lovers reignite their relationship. Concubine begs the general to take her away from this place, and he quickly agrees. When they make plans to leave together…only to be caught by one of the palace eunuchs. When the Duke finds out, he immediately sends the general off to find treasures. Blinded by her forbidden love, the concubine is caught completely off guard by the Duke when he calls her out for cheating on him. You been caught! She lies and says she was the one who seduced the general. The Duke then lies and says that the general also told him that she seduced him. Concubine lady is all in disbelief and still in love with the general, so the Duke straight-up locks her in her room. Get your lies straight, lady! Concubine lady thinks she’s being mad smart by writing a secret letter to the general, and gives it to her handmaiden to deliver. This handmaiden proves to be useless as hell when she drops it practically at the Duke’s feet when he comes to visit. He tells his cheatin’ wife that since she misses her lover so much, he’s going to make it a point to have him killed. Concubine lady freaks out and promises to never see him again. The Duke ain’t having any of it though. 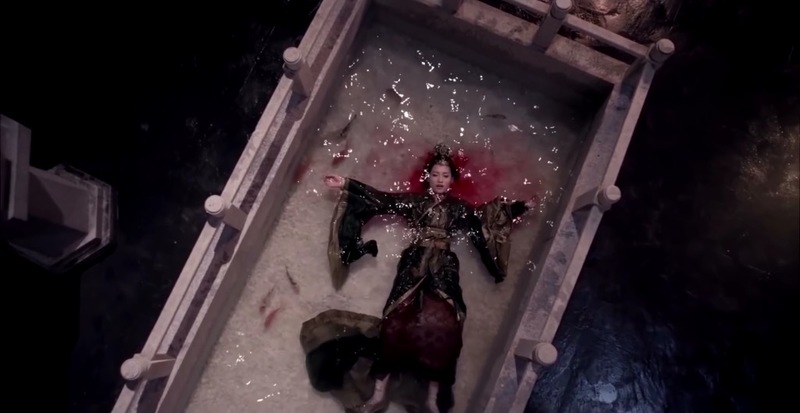 Amidst their struggling back and forth, concubine lady slips and falls into the koi pond. She hits her head and blood spills out around her. Xiao Ge’s got a pretty badass looking dragon tattoo on his shoulder and upper arm. Hawt. The amazing CGI of The Lost Tomb.